Hybrid Cloud is protagonist of the new evolution of IT and is able to ensure the growth of new business models with low cost and robustness. Cloud computing and more specifically, the hybrid cloud may be the right way to allow corporate business to grow and innovate in the field of Internet of Things (IoT). As for the concern around safety and Internet of Things are going, our own prediction on the security part appears to be correct by a recent study carried out by the researchers from HP. IoT devices directly connects the public cloud computing security issues to door step. Companies are now living in a period of incredible innovation IT, which has been broadened to Internet of Things (IoT). Thus, CIOs the playing a leading role in business decisions and promotion for business growth through the optimization of the technologies and mitigation of the risks. At the same time, IT departments have changing needs and with the need for substantial resources, despite the increasingly lean budgets and specifications of expenditure, spending is going towards higher. The enterprise IT environments must therefore ensure functionality, flexibility and reusability of resources and economy, in order to find the correct balance between investment for the enterprise applications related to Internet of Things (IoT) and the innovation required in future. In this context, it is an obvious that a standard solution does not exist yet, nor can there be an unique approach to solve the problems related to security, there are different business contexts which IoT must adapt. In between the folds of needs and opportunities creeps the hybrid cloud, which provides the companies the ability to switch environments on-premise to off-premise ones seamlessly, with all the benefits that cloud computing without any compromise to security, unlike public cloud. The public cloud offers higher speed and is available at lower costs, while the private cloud offers the level of isolation and the needed security for the most mission-critical business applications. 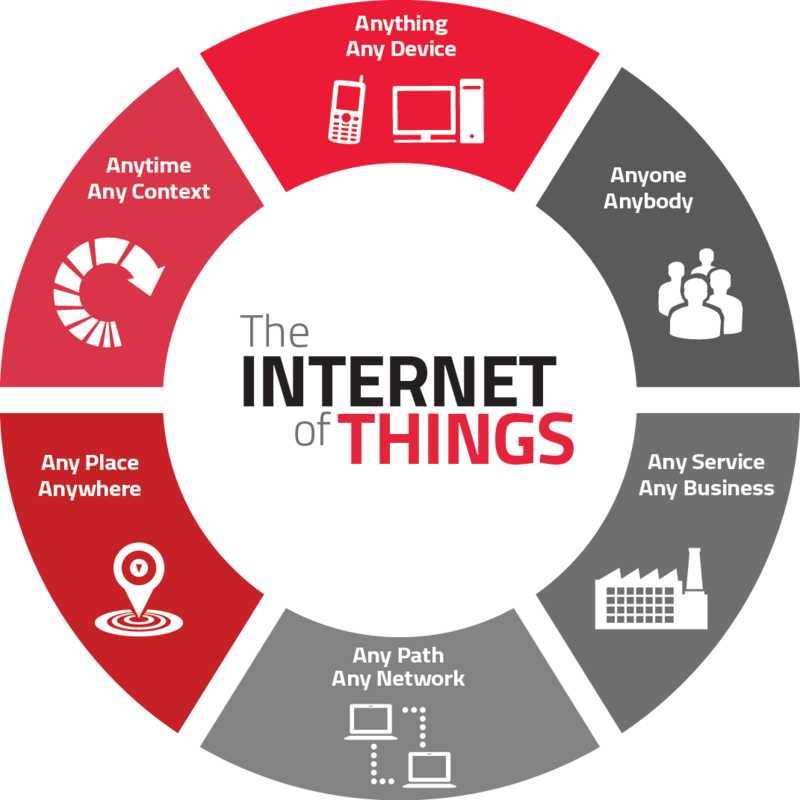 Undeniably, the devices, sensors related to Internet of Things will use the internet connection via some protocols. Hybrid cloud combines all these features into a single platform and plays an important role to allow new business models to emerge without difficulty. It is no coincidence that analysts predict that in the next four years, the global market for hybrid cloud will grow with an annual rate of 30.19 percent. While many organizations consider that the hybrid cloud environment is a strategic way to use the cloud both as on-premise and off-premise solution, it can open up new horizons of developing newer applications, with greater opportunities for innovation and optimization needs. But the device manufactures might not follow the standards to ensure privacy and security of the end users. Most of the firmwares related to a typical computer are not Free and Open Source softwares. There is definite concern about the security with these smart devices when the data can be stored on Public Cloud at lesser cost. A manufacturer can rapidly deploy new IoT related applications in a cloud environment outside the walls of the company and integrate with business applications that continue to reside in a protected environment. Over time, as the IoT apps will gain stability and integration in business, there is the opportunity to move within the enterprise IT resources. In addition, with time, the transition from the public to the private will become even more simple, and the complexity can be reduced with automation; the packaging of business applications and their operating environment can be forced to be based on open standards and designed to automate the distribution along the different types of cloud. Once we have a pattern, this can be used for the both on-premise and off-premise, according to the highest realization of the principle of portability. In short, regardless of the industry which will manufacture the IoT devices, for the sake of IT budget or level of maturity of the infrastructure, companies can not only benefit from the flexibility and efficiency offered by a hybrid cloud environment but also can offer security and privacy to the end users. This Article Has Been Shared 6022 Times! Access Rackspace Cloud FTP From Windows PC Without Any Software and even you can set the highest level of access or use Cloud Server as backup space. Cite this article as: Abhishek Ghosh, "Hybrid Cloud is The Door to Internet of Things (IoT)," in The Customize Windows, August 23, 2014, April 25, 2019, https://thecustomizewindows.com/2014/08/hybrid-cloud-door-internet-things-iot/.